In October we highlight two publications that were published with the exhibitions. 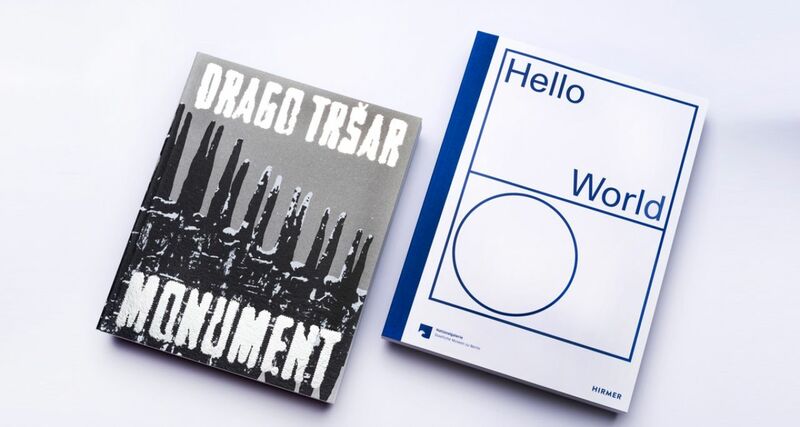 Monument – Drago Tršar, we've published an extensive catalogue on 256 pages with 215 reproductions. The monograph was edited by the exhibition curator Marko Jenko, who also contributed an analysis of Tršar's sculptural work from the viewpoint of the masses. The biobibliography was prepared by Bojana Rogina, designed by Darko Pokorn. The exhibition Spaces of Sustainability: Pavilions, Manifestos, and Crypts will be on view from 15 November 2018 to 17 February 2019 at the Museum of Contemporary Art Metelkova.